NOTABLE LANDMARKS The Church of Our Saviour, the Ilim Fortress tower, the old market, and the house of the merchant Sibiryakov. 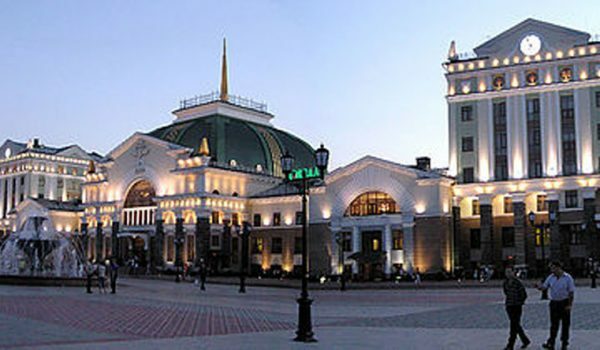 Irkutsk is the capital of Siberia and surrounded by emerald green forests. Here you can visit Lake Baikal, the deepest – and coldest! – lake in the world. Irkutsk was founded in 1661 when Russian Cossack troops established a fortress on the right bank of Angara River. 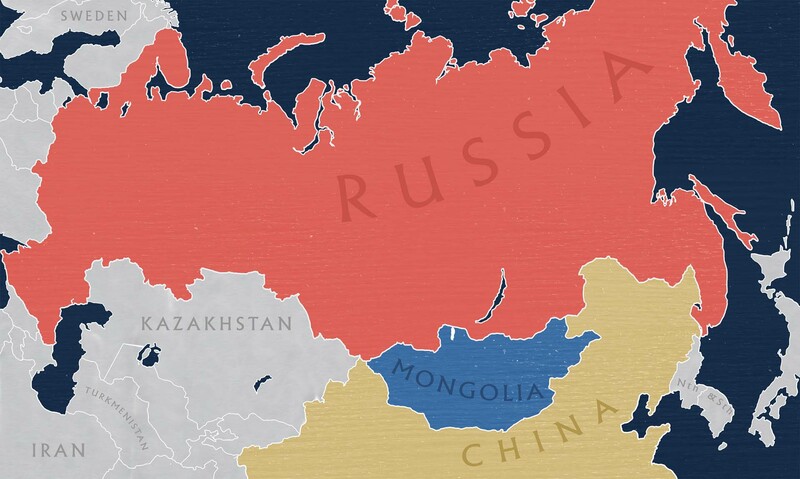 The geographical position of Irkutsk promoted trade links providing furs from the north and tea, silk, porcelain and paper from China and Mongolia in the South. From the late 17th century onwards, Irkutsk became a political, economical and cultural centre for Siberia. In the early 18th century this remote Siberian city became a place where political prisoners were exiled. Decembrist rebels, the ‘children of freedom’, were been imprisoned here for thirty years. The city’s classical architecture dates from the 1880s when the city boomed after gold was discovered. Most of the brick mansions and grand public buildings, varying in architectural styles, were constructed in the late 19th to early 20th century. The Russian Orthodox churches and a Polish Cathedral (the only Siberian Gothic-style building) are located in the city centre. You will see many small, one and two-storied wooden houses, or cabins that are decorated with handmade wooden lattice work. One of the peculiarities of Irkutsk is the enormous number of wooden houses with no running water, central heating or plumbing. More to the point these houses are not found on the edge of the city but right in its historical centre. As an example, the city has its own wooden ‘country village’ next to the central market. A trip to the so-called 130th district (the Irkutskaya sloboda) in the centre of the city near the Krestovaya gora is a must. This is where the city’s historical structures have been preserved such as merchant’s houses and other architectural monuments. You can walk around this district and enjoy refreshments in one of the restaurants, bars or coffee houses and purchase souvenirs. There are four theatres in the city and the local Philharmonic Society is known for its organ recitals. The local Folklore Museum, founded in 1782 will draw your attention as well. Jules Verne declared that ‘ Siberia is the country of furs’. Irkutsk has long been the centre of the fur-trade industry in Siberia, its emblem bearing a Sable caught by a Tiger. Among the attractions you will find souvenir shops selling unique items made from Siberian gemstones such as charnockite, lazurite or nephrite. Along the Baikal Highway, the open air Museum of Ancient Siberian architecture is worth a stop to learn about life of the buryat people in Siberia nearly 1000 years ago. Original yurts, wooden huts and churches set in parklands overlooking Angara make a refreshing change for those who are “museumed out.” The quaint little Baikal museum is also good to visit to learn some of the Lake’s many statistics (such as its size – it’s bigger than Belgium!). LEAVE US YOUR DETAILS, AND WE WILL SEND OUR BEST DEALS AND TRIPS STRAIGHT TO YOUR INBOX!